At a gathering of coffee technical experts from across Central America in Guatemala City, Guatemala, earlier this month, World Coffee Research confirmed that a coffee variety in Honduras, widely planted across the country because of if its resistance to coffee leaf rust, is no longer resistant to the disease. The variety, Lempira, makes up a significant portion of Honduran coffee production and has been widely planted since an epidemic of leaf rust hit Central America beginning in 2012. Following the confirmation, a delegation informed the minister of agriculture of Honduras. 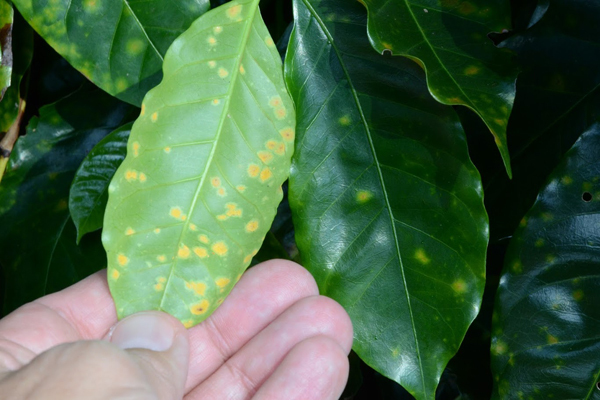 The Honduran national coffee institute, Instituto Hondureño del Café (IHCAFE) received reports of rust infections on Lempira plants in January (2017). One early hypothesis was that the plants thought to be Lempira were in fact, another susceptible variety. World Coffee was informed and offered to conduct DNA fingerprinting to confirm the variety of the plants. Samples of leaves were collected from two locations — a heavily infected farm in the eastern part of the country, as well as “mother” plants for the Lempira variety maintained by IHCAFE. The tests were positive, confirming that Lempira is indeed now susceptible to rust. According to IHCAFE, as of April 2017, the incidence level of rust nationally was only 6% (below the level of economic damage). However, 18% of Lempira farms surveyed in March had an incidence level higher than 10%. IHCAFE is alerting farmers of the possible development of a severe attack once the rains are established. There are two possibilities to explain why Lempira is showing vulnerability to rust. One is that a known rust race traditionally present in Honduras may have mutated and overcome Lempira’s resistance. It is also possible that a race of rust not previously present in the country has moved into the region. 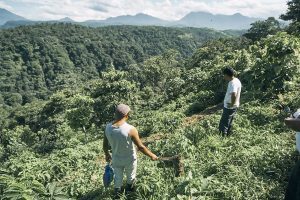 Researchers and breeders have been concerned for years about both possible scenarios emerging in Central America. It is well known that there are dozens of rust races that affect coffee globally, only a small number of which have presented significant production challenges to coffee production in Central America. Historically, the predominant races in Central America have been races I and II. It’s possible that a race of rust for which Lempira was never resistant has now moved into the region. There is no rust-resistant variety that is resistant to all races of rust. Samples of rust spores collected at infected sites have been sent to a research center in Portugal for identification, but results are not expected until August 2017. World Coffee Research is checking sites in its 24-country International Multilocation Variety Trial to determine if Lempira is affected in countries other than Honduras. The global trial was established in 2014 in part as a monitoring system for the movement of diseases and pests in coffee production zones around the world. Prior to the establishment of the program, there was no global monitoring system for coffee disease and pest movement. Since its inception in 2012, World Coffee Research has established numerous programs to address the fragile nature of resistance to coffee leaf rust in the region — including a regional breeding program that includes the creation of new interspecific hybrids, guidance for coffee technicians and farmers for comprehensive agronomic approaches for the management of rust, a program to ensure the quality and genetic purity of seeds and seedlings sold to farmers, and a global effort to safeguard coffee genetic resources that breeders will need to tap to ensure greater genetic diversity for the crop. At the end of May, World Coffee Research will convene with experts from across the region, immediately preceding the World Coffee Science Summit in San Salvador, to design a regional and global action plan.